MULTIPLE SETTINGS: 3 settings for rotation mode and multiple Turns per Day (TPD) settings. FITS MOST WATCHES: Spring action pillows fit all watch bracelet and strap sizes. LCD DISPLAY: Shows all available information about the operating modes. MOTOR-STOP OPTION: When you open the lid, all rotors are automatically turned off. 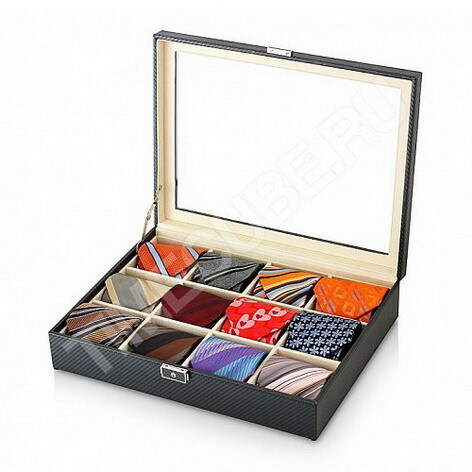 ALL YOUR COLLECTION INSIDE: 16 winder modules, 18 available winding programs. If you buy two (or more) products, we offer 10% discount for all items. The discount is provided automatically, you can see it at checkout. 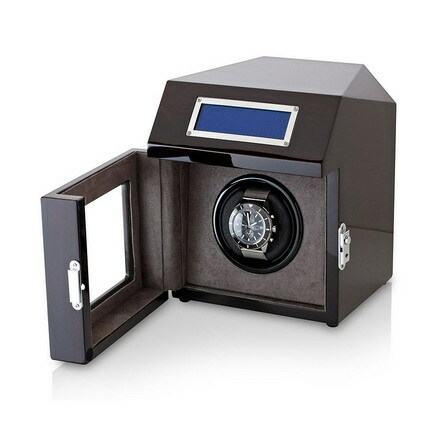 An automatic watch winder for 16 watches , LCD touchscreen control and LED backlight. Maximum watch diameter: 2.4 inches. What is an automatic watch winder? A watch winder is a device with an electrical motor which will automatically wind your watch when you are not wearing it. Automatic watches have a limited power reserve, so if you stop wearing them and winding them up, they will run down in two or three days. The reserve depends on the watch brand and on movement (caliber) used. When your timepiece stops, you must reset time and wind up your watch. If it has additional functions (like date, moon-phase display, perpetual calendar), resetting them may take a lot of time and require certain skills. 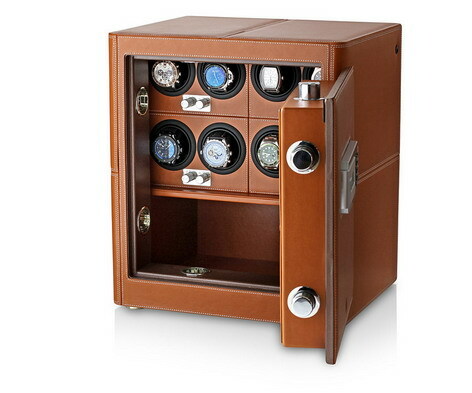 With an automatic watch winder, you can keep your timepiece wound and ready to go! Please note: If your watch doesn't wind itself from wrist motion, it cannot be wound by automatic watch winder. Watch winders are not compatible with Seiko Kinetic Watches because the watch mechanism is not the same as traditional automatic movement watches. Please note: Watch winding mode (winding direction and TPD setting) depends on your watch model. Please, check your owner's manual or contact your watch brand's customer service for detailed information. You can also refer to our watch winding parameters table. The company specializes in the production of wooden gift articles. The company is located in Guangzhou, China, and has been operating since 1996. During this time, Leader has been offering its clients high-quality products at affordable prices. The company’s goal is to achieve the perfect quality-to-price ratio. The company’s motto is: “We only provide what you really need”. Leader’s products are exported to more than 20 countries all over the world. Our web-site represents both compact winders for one watch and large cabinets suitable to wind up 12 and 16 watches and equipped with a great number of functions: internal LED-light, motor stoppage function actuating upon the door opening and even control via special app on your Iphone. Safes with winding function are of particular importance in the product range. They are made of high-quality steel and have exterior finish of eco-leather or natural leather. Each safe is equipped with alarm system.